Beskrivelse A lot of 6 order pick trucks from Jungheinrich are sold for 90,000 + VAT. All trucks work as they should. There are some small bumps and scuffs on the machines, but overall they are in very good condition. Hours of operation: between 1739 - 2244 hours. Lift height person basket floor level 1200 mm. 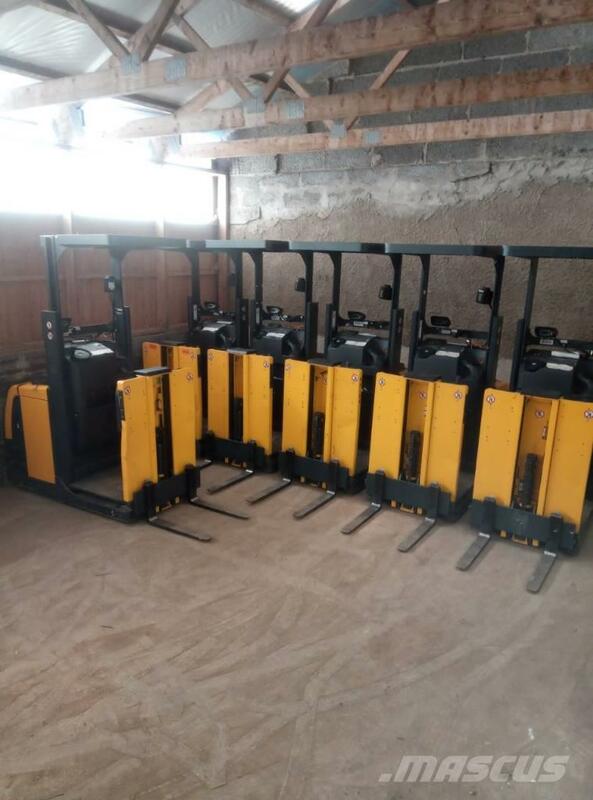 Lift height fork 800 mm. Lift height fork 1700 mm, since both basket and fork are max raised. Battery: 24 Volt 620 Ah year model 2013. Charger: 24 Volt 120 A. 6 pcs, one for each truck.